Oil burner controls are designed to control oil burners (duh! ), their oil valves, if you would like, as well as the ignition transformer that responds to calls for heat (Source). Oil burner controls will provide an automatic and non-recycling mechanism of control for intermittent ignition oil burner systems (Source). Most will feature a flame sensing circuit that is solid-state, LEDs on terminal strips to indicate to you whether a system lockout has occurred, a safety switch that includes an external reset button as well as manual levers for safely performing system maintenance (Source). Let's take a look at five of the best-selling oil burner controls on the market today. Our favorite is the ﻿﻿Honeywell R8184M1051. This oil burner control Includes a 40 VA transformer as well as Y and G terminals enabling you to connect cooling equipment. It will mount on your typical 4 x 4 inch junction box. Users say that it was a lot cheaper and easier to purchase one of these oil burner controls than having to actually replace the entire furnace. Some users say that unless you are a professional, it makes sense to check in with a furnace repair man and ensure that this is the part you actually need to get your furnace running away like it too. That said, you don't want to end up relying on someone is gonna charge you upwards of a thousand bucks to a simple install for you but you could probably do yourself. Most people said that the install was pretty simple- saying that if you can operate a simple screwdriver then you can install one of these oil burner controls. They advise that you have to have the circuit breaker turned off before you start the install and that it should only take about half an hour to get the job done. Not guaranteed to solve your burner problem if you've misdiagnosed it to begin with! 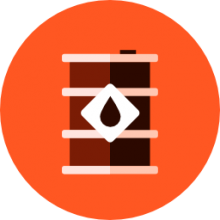 Honeywell R7284U-1004 Electronic Oil Primary users claim that this new model is an effective replacement of the old one as it is more easy and quick to use and install. One of the users says that this new version has more than 60 new control modules to increase its efficiency. He also advised that people who do not have any experience installing heating systems should consult the services of an expert to ensure safety. 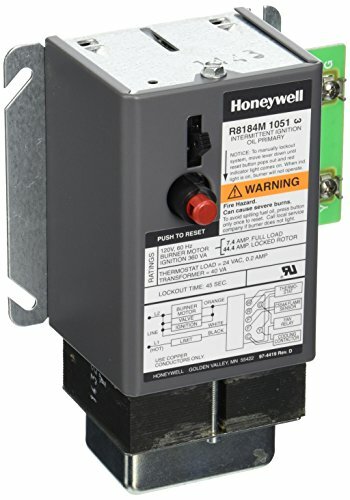 The buyers of the Honeywell R7284U-1004 Universal Electronic Oil Primary write that the ignition is universal in terms of replacing with any other old module and wiring of this new model is quite simple. While the users were satisfied with the pricing and modifications of this new model, one of them said that the manual is somewhat difficult to understand which leaves some room for improvement. This product, as described by its users, is an impressive controller due to its highly customizable settings which make it pretty user-friendly. The option to turn the ignition off once the burner is started is prized by the users of Honeywell R7284U-1004 Universal Electronic Oil Primary as a significant improvement. Another user said that his whole system along with the burner starts working normally soon after the burner was attached and did not require any other function to be performed. Honeywell R8184M1051 Relay Oil Burner Control users say that it is quite easy to install if one observe the connections closely. One of the major problems that people face while buying an oil burner control is the installation of such products. As the companies which provide service for installation charge a very high price. The buyers of Honeywell R8184M1051 Relay Oil Burner Control claim that the easy installation of this product made them save their money which otherwise would have been charged by the service provider. The customers write that the affordable price of this burner control makes it a top choice from other similar products available in the market. According to one of the customers it is very easy to connect with the furnace because of its trouble-free wiring system. Honeywell Relay Oil Burner Control customers say that the instructions are quite easy to comprehend and easy to follow. While there is a wide variety of products available in the market the buyers of Honeywell Relay Oil Burner Control state this is their first choice because it is easy to install, handle and purchase at a decent price. According to them it has made the functioning of furnace quite smooth and effective. The users of Honeywell R8184G4009 International Oil Burner Control say that they faced no issue while installing it in their furnace. According to one of the users, it is quite easy to replace and it took him not more than ten minutes to replace it with the old one all alone by himself. One of the customers highlights that the product is quite heavy physically which leaves a room of improvement for its makers, yet the same customer also admitted that the handling of this oil burner control is quite easy despite of its heaviness. The buyers of Honeywell R8184G4009 International Oil Burner Control describe that the wiring of it is quite easy and does not take much time. Another of the buyers said that there are only seven wires that are needed to attach to the furnace. Customers also say that this product is quite handy as compare to other products available in the market because of its durability as some customers who shared their views have been using it for months. The users claim that it is quite easy to install even if one is shifting from mechanical unit to electrical one. The users of ICM Controls ICM1503﻿ Oil Primary control think that it's a solid product at a very reasonable price. LED has been introduced in this Ignition which is used to highlight the lockout of system. Customers stated that this product has saved their money as the same product offered by other companies is quite low and the quality does not match with this one. Other users of the ICM Controls Oil Primary write that the safety switch and reset button has made it a preferable option for them as compared to the other products available in the market. The users of this product state that it is energy efficient as compared to older models that required the consistent burning flame. A Flame Sensing Circuit has been included in ICM503 Oil Primary Ignition which make it an appropriate ignition for most of the furnaces available in the market. The users of ICM Controls ICM1502 Intermittent Ignition Oil Primary Control describe it as an effective Ignition Control even in cold nights. This product has been assessed by its users as a one which is easy to buy, install and operate. People are usually worried about the safety considerations while buying oil burner controllers, but the the people who purchased the ICM Ignition Oil Primary Control claim that this product meet all the safety requirements. With the advancement of technology, ignitions have also advanced in feature-richness. Safety timings are included in the ICM Controls ICM1502 Intermittent Ignition Oil Primary Control which has made its functioning more efficient in terms of time and energy. Users describe intermittent ignition as more reliable in terms of energy conservation. It consumes less energy as compared to the older era products like a standing pilot. If you're looking to purchase an oil burner control, It pays to do the research. If you're a professional and are comfortable working with oil burners, you undoubtedly know and understand the furnace system. However if you are just regular homeowner trying to avoid having a furnace repair person charge you an extraordinary amount of money to do some simple maintenance on your oil burner that you can do yourself, first ensure that an oil birth control is the component that you require. We advise purchasing a Honeywell product because of their quality. Then make sure that you understand how to perform the oil burner control installation-check out some YouTube videos so that you are completely apprised of how to do this safely.